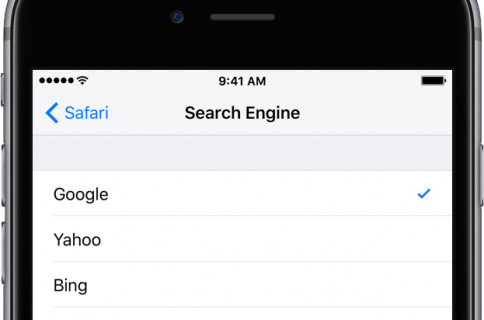 Google announced today that Apple fans who are running iOS 9 on their iPhone, iPod touch and iPad devices will soon start seeing app content in their search results in the Safari browser. The company’s so-called App Indexing feature is now compatible with HTTP deep link standards for iOS 9. Owners of iOS 9 devices should expect app content to begin surfacing in search results by month’s end. “Getting your app content found on Google just got easier,” reads Google’s announcement. Before users can take advantage of the integration between app content in the Search results page on Safari and mobile apps, developers must add Universal Links to their iPhone, iPod touch and iPad application using Google’s App Indexing API. “With this improvement, we will no longer support new integrations on iOS 7 and iOS 8,” added Google. App Indexing debuted recently on Android. As you know, iOS 9 introduced a similar deep linking feature. iOS 9’s Spotlight Search uses deep linking to take you to a specific piece of content within its app upon tapping on the Spotlight search result. Another example: Dropbox’s iOS app exposes locally stored files (those you have favorited) to Spotlight. As a result, not only can iOS 9 users search their offline files within the Spotlight interface on the Home screen, but tap on a file in Spotlight to be taken right to it within the Dropbox mobile app. Similarly, deep linking is being used throughout iOS 9 for the new “Back to” button which sits at the upper left corner of iOS’s status bar. Google’s App Indexing takes a similar approach. 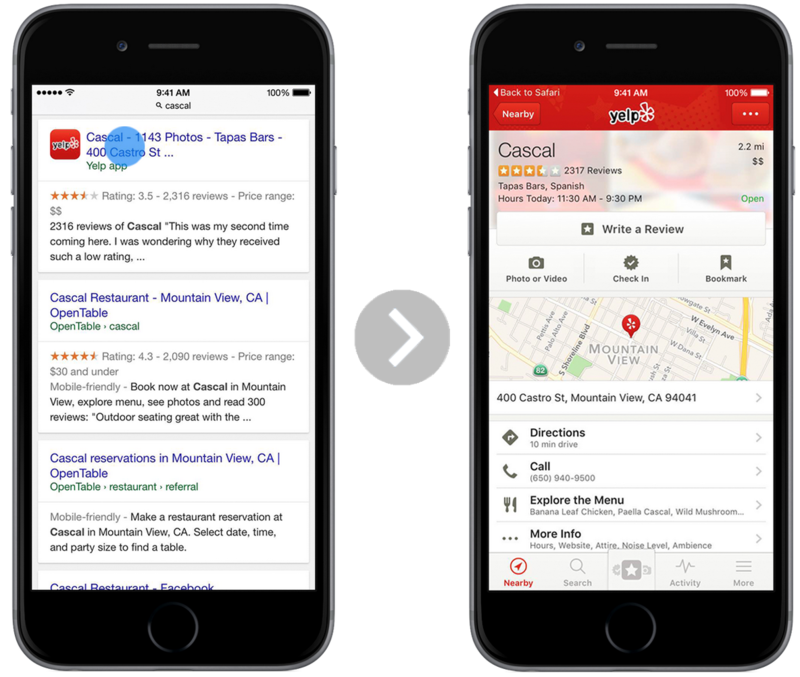 For instance, you’ll be able to tap on Yelp’s mobile app content in Google Search to go directly to that content within Yelp’s iOS app, if installed. Without App Indexing and Universal Links, tapping on that same search result would simply open the Yelp website within Safari. I must admit I’m very excited to see developers taking advantage of this tightened integration between web content and mobile apps. To learn more about App Indexing, check out Google’s helpful resources.